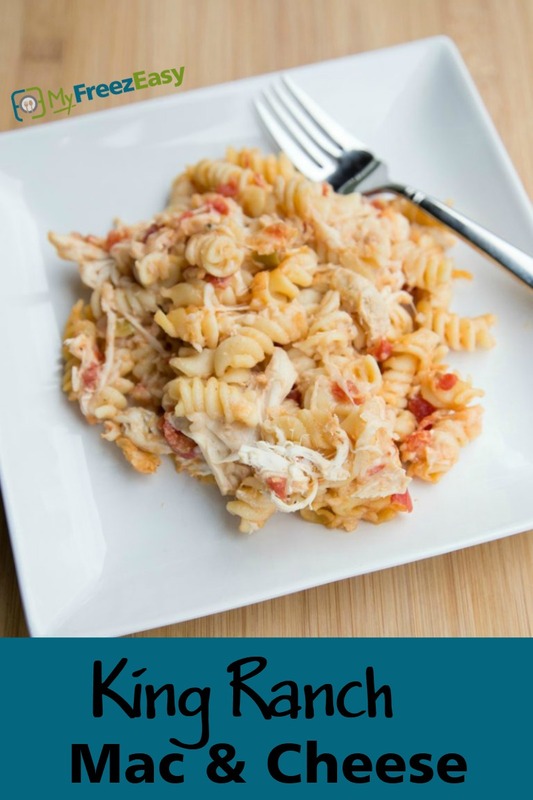 Living in central/South Texas, everyone knows the King Ranch...and everyone knows and loves King Ranch Chicken. And because of my obsession with KRC and homemade macaroni and cheese, I developed this ridiculous recipe. And I say “ridiculous” because that’s how you feel when you eat it...as in, “this is so ridiculously good, I can’t stand it. I need more now.” I hope you have the same ridiculous experience that I do when eating this dish! Cook the pasta, as directed, to al dente. Drain well and add to 9x13-inch baking dish. Open the diced tomatoes with green chilies. In a large mixing bowl, mix together the diced tomatoes and green chilies (with the juices), sour cream, ground cumin, chili powder and a pinch of salt. Stir until smooth, then stir in the shredded cheddar cheese and shredded chicken. 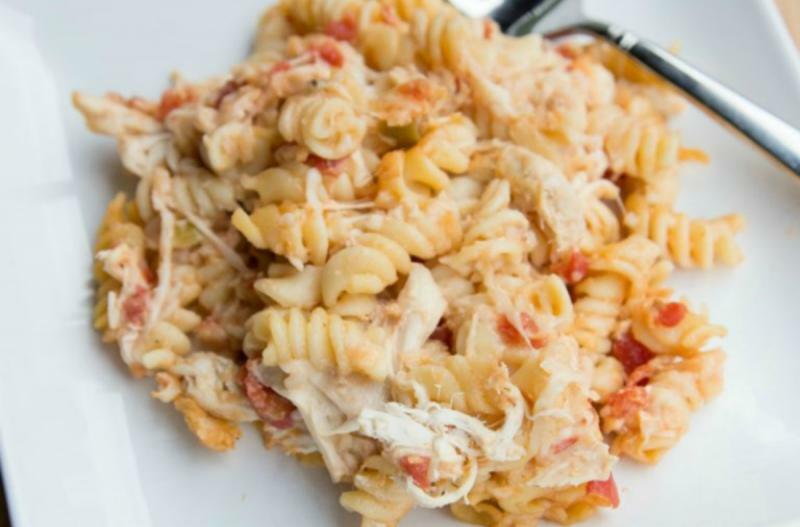 Gently toss the creamy chicken sauce with the pasta in the baking dish. Then bake in the preheated oven for 20 to 30 minutes, or until warmed through. Serve King Ranch Mac & Cheese with veggies. Open 2 cans diced tomatoes with green chilies. In a large mixing bowl, mix together 2 cans of diced tomatoes and green chilies (with the juices), 4 cups sour cream, 4 Tbsp ground cumin, 4 tsp chili powder, 4 cups shredded cheddar cheese, and a pinch of salt. Stir in 2 cups shredded cheddar cheese and 3 cups shredded chicken. Thaw completely and bake at 350 F for 20 to 30 minutes.